An Australian study found that researchers, clinicians and English language scientific journals have published data provided by illegal, forced organ harvesting from Chinese prisoners of conscience. The study’s author called for the retraction of over 400 scientific papers allegedly tainted with such data, calling the journals and researchers complicit in the perpetuation of forced organ harvesting. Large discrepancies between China’s reported voluntary organ donation and the actual number of organ transplants performed, along with testimonies from former prisoners, doctors and investigators, indicate that China continues to forcibly harvest organs without consent on a massive scale. An Australian study called for the retraction of over 400 scientific papers allegedly tainted with data obtained from forced organ harvesting from Chinese prisoners of conscience. 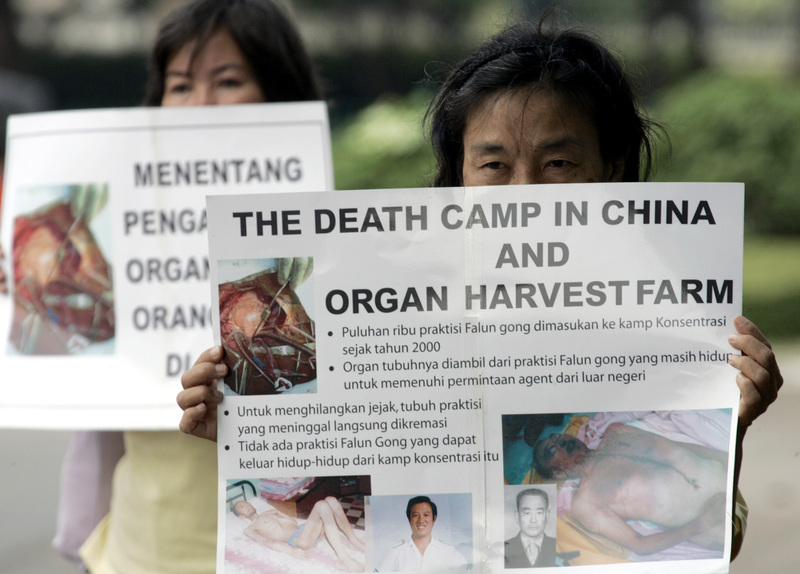 The study, published Tuesday in the scientific journal BMJ Open, alleged that Chinese authorities illegally harvest organs from detained underground Christians, Uighur Muslims and Falun Gong members to supply the demand for organ transplants. Wendy Rogers, the study’s author and a professor of clinical ethics, asserted that China researchers, clinicians and the English language journals that published their data, failed to ensure that the organ donations from which they obtained their data were done with consent of the donors and are therefore complicit in the harvesting. “The transplant community has failed to implement ethical standards banning publication of research using material from executed prisoners. As a result, a large body of unethical published research now exists, raising questions of complicity to the extent that the transplant community uses and benefits from the results of this research,” Rogers wrote in the study. “We call for immediate retraction of all papers reporting research based on use of organs from executed prisoners, and an international summit to develop future policy for handling Chinese transplant research,” Rogers added. Rogers and other researchers from Macquarie University in Sydney found 445 scientific papers from China researchers published between January 2000 and April 2017 in English language journals that detailed data obtained from 85,477 organ transplants. Of those papers, 99 percent had no information about whether consent had been obtained from the donors while only 14 percent — 63 papers — had any information about the actual sources of the organs. The researchers noted another red flag in the reports — transplants detailed in 43 percent of the papers were performed at a point in time when executed prisoners were the only source of available organs. But the number of executed prisoners, in conjunction with China’s policy of executing prisoners within seven days of doling out a death sentence, make that an impossibility, The Wall Street Journal reported. Seven days is too short a time to match potential “donated organs” with transplant recipients, but Chinese medical facilities make it a practice to match organ donations with patients for on-demand service. In fact, documented cases show that doctors who ordered backup organs for transplant operations received those organs the next day — an astonishingly quick turnaround given that U.S. patients have to wait anywhere from months to years for a transplant organ to become available. China also does not execute enough prisoners per year to account for all of the documented organ transplants, despite executing more prisoners than any other country. China transplants between 60,000 and 100,000 organs in its hospitals each year, according to a 2016 report by former Canadian politician and prosecutor David Kilgour, lawyer David Matas and American journalist Ethan Gutmann entitled “Bloody Harvest/the Slaughter: An Update.” The country executes a few thousand prisoners a year and had only 6,000 official voluntary organ donors in 2018, who were said to have donated over 18,000 organs. China also does not have a history of voluntary organ donation culture, as exemplified by the fact the country only had 34 official donors in 2010. The 2016 report also noted that the 18,000 transplants in 2018 were “easily surpassed by just a few hospitals,” with the Tianjin First Center, for example, performing over 6,000 transplants a year. How does China makeup the difference? Researchers concluded that Chinese authorities have been harvesting organs from prisoners of conscience, some of whom are detained in internment camps, without their consent. A 2006 Kilgour–Matas report confirmed that hospitals offered organs from Falun Gong prisoners after they posed as organ buyers and inquired about Falun Gong organs. Former prisoners have also testified to enduring forced medical procedures in internment camps, including having samples of blood drawn and their test results added to an organ donation database. Dr. Enver Tohti, who formerly served as a surgeon in Xinjiang where Chinese authorities have cracked down on Uighur Muslim communities, also detailed how he was ordered to forcibly harvest organs from a prisoner whose heart was still beating in 1995. Tohti noted that the man’s wound was not immediately fatal, but removed his organs all the same. The Independent Tribunal Into Forced Organ Harvesting From Prisoners of Conscience in China is currently investigating myriad claims like those of Tohti and former prisoners.